According to Tammy Gillis, CEO and Founder of Gillis Consulting & Training, the answer is usually just: “I check people in and out”. The front-desk is very often the first contact point between your guests and the hotel. They can either be the best source of sales generation and brand ambassador, or they can be the weakest link of a hotel. It all depends on how proactive and knowledgeable your front-desk is. It all starts with the mindset. What do your front-desk see their position and jobs as? Are they able to help the hotel increase revenue? Shifting their mindset of “just doing a job”, to helping the hotel achieve revenue success is an important factor of increasing their productivity. Tammy Gillis offered some ways to help shift that mindset. reviewing arrivals lists to identify online travel agency clients, clients booked with no corporate rate plan and elite members of loyalty programs. Educate and guide guests on the hotel’s facilities. Help promote non-room products like the Spa and restaurants within the hotel. The front-desk can also assist in generating sales leads by utilizing their free time during slower seasons. They can be tasked to research on the current promotions and trends of other competitors, compare room rates, or review the OTA clients to gather more information on the industry. Train the front-desk and enable them. Make sure that your front-desk team is well-prepared. Having an excellent onboarding program and incentives are critical in forging a sales-oriented mindset. 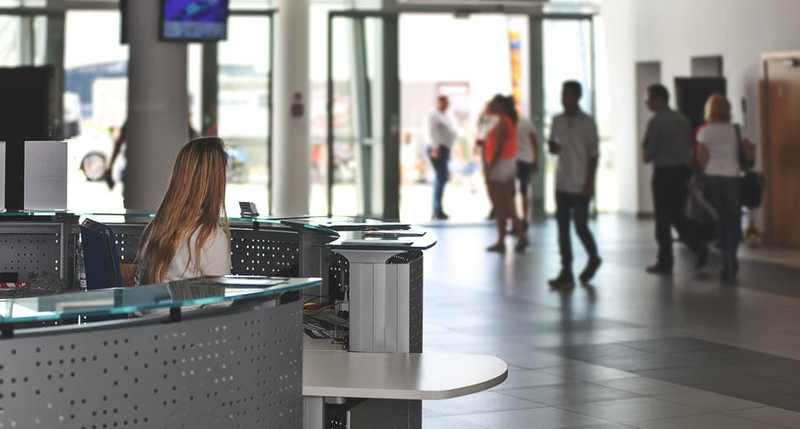 The front-desk must be knowledgeable about the hotel’s layout, facilities, processes and procedures, and of course, the proper way of handling guests. They should also understand their main competitors, and how they can up-sell a room or promote the hotel to potential guests. Having a script for key questions and top objections can help the front-desk overcome the difficulties they might face, and provide the best possible practices. Rewarding performance will also help to set a goal for the team to work towards and gear themselves with the correct mindset. Onboarding training helps to set a benchmark for building the right culture and mindset, which will, in turn, form the “heart” of the hotel. Increasing the productivity and revenue of the hotel will be much easier when you have the correct team with a common mindset to make things work. Leverage on your front-desk team and maximize your hotel revenue, and take your hotel to the next level with our unique eConcierge solution. Email us at partner@theyearth.com to find out more!